Yesterday, the elite fighter of his kingdom; today, a mercenary, master of blades and swords. With the pride of an ancient and noble lineage flowing through his veins, the Warrior has chosen to embrace the cause of the Gods. Skilled in powerful assaults, he can exterminate even his fiercest opponents. With key rage and defense attributes, he is prepared to fight to the last. The Berserker's strength grows in the heat of battle. 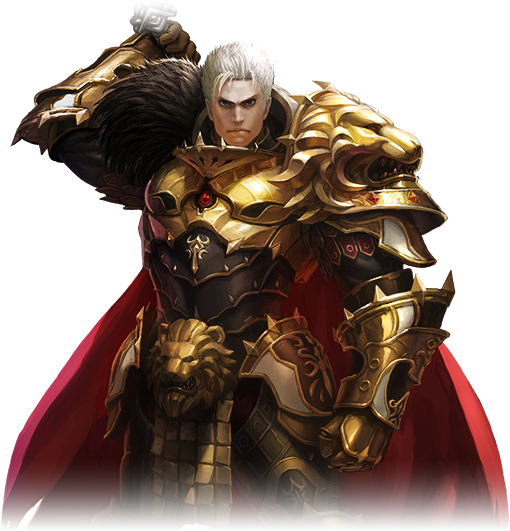 As his rage increases, he inflicts more damage on his enemies with swift attack speed and critical skills. The Protector is a reliable tanker, shielding his allies in the front line of battle. Equipped with various survival skills, he can withstand even the toughest situations.